Monogram size is approx. 2" high x 2.6" wide ~ Perfect for Towels, Hats and 4x4 Hoop! The monogram sewed out beautifully. Great enjoyed using it. 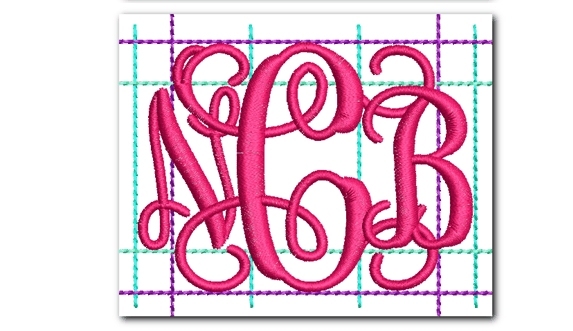 My granddaughter needed some monograming before she start college. Entwined is a beautiful font, I have been looking for this size for young girls! There are a lot of underlay stitches but the completed project is tight and pretty. Thank you for offering this, I plan to order the 1 inch size also. Hi Debbie! The original files for this font don't really have a lot of underlay stitches, just the standard amount. You may want to check your software settings to make sure that your software isn't adding additional underlay. 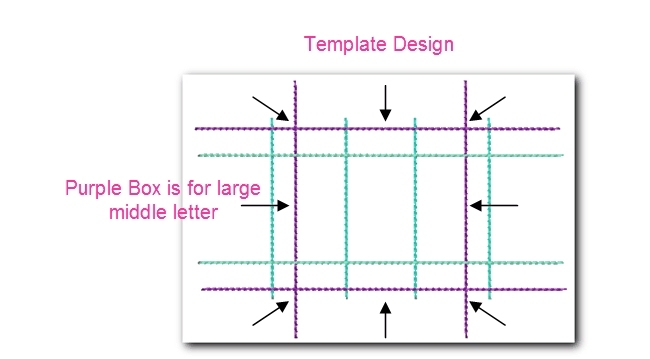 An easy test is to transfer 1 letter that hasn't been opened in your software directly to your machine and stitch it out - this will show you the difference between the purchased file and the file that's been modified by your software. Let me know if you have any questions! Sewed out very nicely and is easy to use. Very nice and looks very pretty when finished. No problems stitching or transferring to my machine using the PED-Basic card-writer/software (I have a Brother ULT-2001 and no USB capability). Sews beautifully and the letters work well together. Beautiful fonts but needs to be more dense on larger sized fonts. I really like these letters, may be my fave in fact. I just am not certain my machine is doing the stitching correctly as it does some loose loops down the main stem of the designs BUT it does finish off nicely. Smooth and tight. I have purchased this 3 letter monogram font in all sizes they offer and it always turs out perfect and most of all my customers love it! !